Gail has been practicing massage therapy in Hunterdon and Somerset county NJ since 1993. 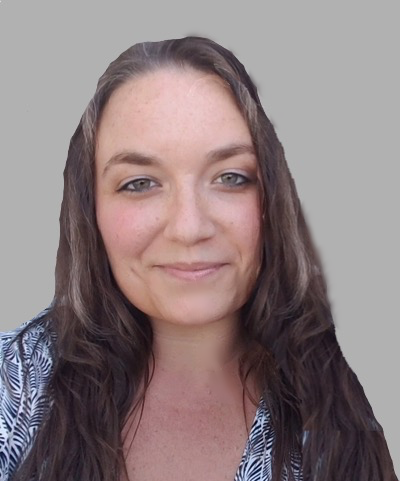 She is a pain relief specialist, both clinically and in sports applications, utilizing Neuromuscular Therapy (NMT), Deep Tissue Massage, Myofascial Release, Orthopedic Techniques, Posture Analysis, Assisted Stretching, Hot Stones, Swedish Massage and Manual Lymph Drainage. Gail is Board Certified in Therapeutic Massage and Bodywork (BCTMB) and a member of the AMTA (American Massage Therapy Association) and ABMP (Associated Bodywork and Massage Professionals). As an instructor at various massage schools over the years and owner/trainer/mentor at the Massage Therapy Group Gail has enjoyed teaching upcoming massage therapists advanced massage techniques. She is currently an adjunct professor at Warren County Community College teaching Neuromuscular Therapy in the Massage Certification Program. Gail enjoys the challenge of solving problems and alleviating acute and chronic pain with an ongoing interest in muscular anatomy, using analytical skills and a host of hands-on techniques. Over the years she has taken many continuing education seminars notably studying with Judith Delany Walker of The International Neuromuscular Therapy Center, Paul St. John of Neurosomatic Educators whose work is based on Janet Travell M.D. and David Simons M.D.. Travell and Simons' two volume set of textbooks, Myofascial Pain and Dysfunction: The Trigger Point Manual (upper body published in 1983, lower body in 1992). Rachel is Board Certified in Therapeutic Massage (BCTMB), a professional member of ABMP and an NJ Licensed Massage Therapist. She has provided therapeutic massage in Hunterdon county since 2010, and has been working with the the Massage Therapy Group since 2013. Rachel began her studies with the human body (anatomy, physiology, and kinesiology) as an undergraduate studying Exercise Science at Rutgers University. Her experience (10 years) working in Corporate Fitness as a Health Fitness Specialist (Personal Trainer and Group Exercise Instructor) fueled her desire to learn more about the human body, how it moves and its relationship to pain. Rachel's passion for health & wellness and helping people restore balance to their bodies led her to pursue a career in massage therapy. In 2008, Rachel graduated the 625 hour Massage Therapy Program at Health Options Institute in Bethlehem, PA. Her studies included: Deep Tissue, Orthopedic, Neuromuscular Therapy (NMT), Shiatsu Level 1, Aromatherapy Basics and Sports Massage. Additional coursework include Hot Stone Massage, Reflexology and Reiki Level 1. As an Associate at Massage Therapy Group Rachel has had advanced NMT training in-house. Rachel uses a customized and integrative approach combining Neuromuscular Therapy, Deep Tissue, Swedish, Hot Stone massage and Aromatherapy. Fall of 2018, Massage Therapy Group is pleased to welcome Erika Lipka who provides both a strong sports/clinical and relaxation skill set. Good communication and excellent client relationship skills are key to her client centered practice. Erika’s versatility is demonstrated in her abilities to do focused deep tissue work and caring compassion to engage in the delicate approach needed to work with Oncology clients. Deep Tissue, Neuromuscular Therapy, Oncology, Lymphatic Drainage (Brazilian Trained), Prenatal, Reflexology, Relaxation and Aromatherapy are among her unique and diversified skill set. Erika is participating in Massage Therapy Group’s in-house Neuromuscular Therapy Training program. Erika has been practicing since graduating from Health Choices Institute & Holistic Massage School October of 2008. She is a licensed and insured NJ Massage Therapist. 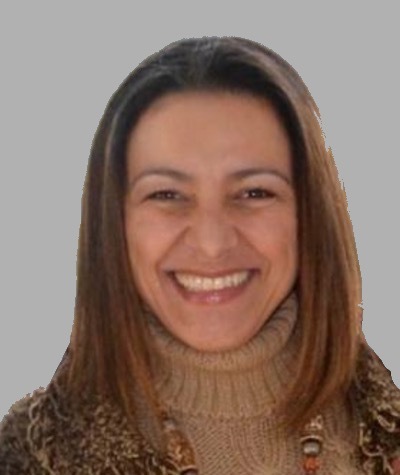 She is also a recipient of a BA from University of Mogi Das Cruzes, São Paulo, Brazil and the proud mother of three adult children. Kalina has had a passion for bodywork therapy most of her life. Attaining 132 credits from Life University's Doctor of Chiropractic program, she discovered her desire to perform Trigger Point Therapy. She still has a love for Chiropractic and integrative medicine, and utilizes both personally. Life situations led her out of Chiropractic College and to Massage Therapy. She loves the profession and all that it encompasses and is excited to be participating in Massage Therapy Group's in-house Neuromuscular Therapy Training program. Kalina is a graduate of Warren County Community College's 673 hour Therapeutic Massage Certificate Program which included: Neuromuscular Therapy, Kinesiology, Shiatsu, Hot Stone, Sports, Aromatherapy, Reflexology and Swedish Massage. She is also a certified Level 2 Reiki Practitioner. Kalina has a love for nature and has had a passion to work with rocks and minerals since she was 8 years old. Crystal healing along with aromatherapy, Kalina believes, is a great addition to Massage Therapy to assist in the healing process. Kalina appreciates the brain/body connection and the power of the nervous system. She values the innate wisdom of the body and believes that as a licensed massage therapist she is a conduit for healing and pain relief. Kalina is excited to be a part of the Massage Therapy Group team!